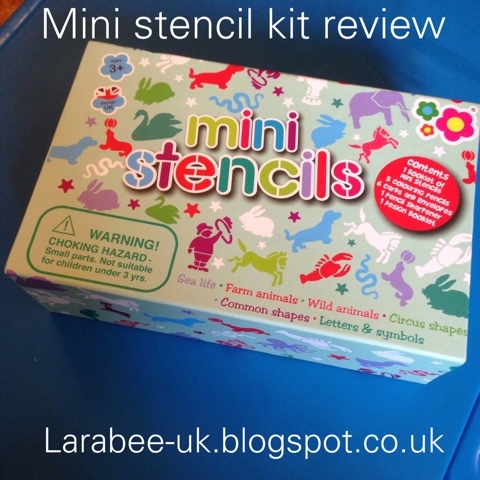 We were recently sent a lovely Mini Stencil Set from Great Gismo's Meadow Kids Range to review. 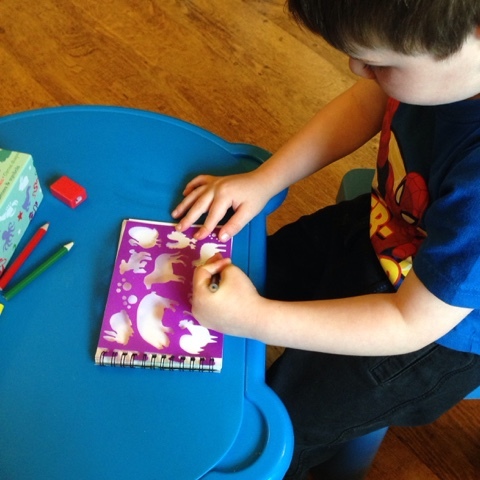 The set is aimed at children aged 3+, the stencils in this set are aimed at boys. 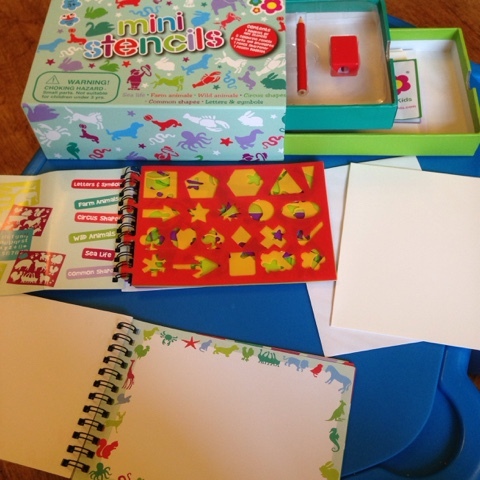 It is a lovely set of mini stencils with everything needed for your child to create their own cards. The kit comes in a sturdy box which could be re-used if you wanted. Everything fits well inside with room for a few additional items. 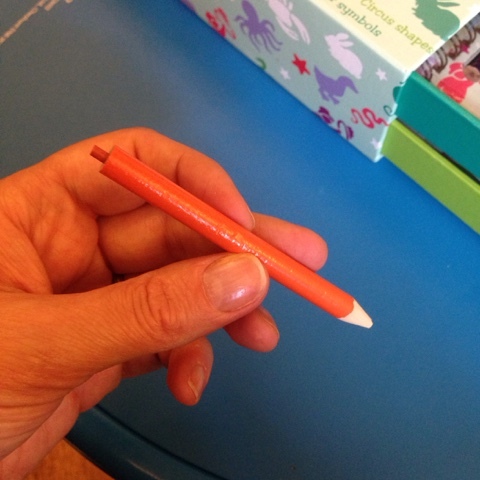 There are coloured pencils in the top drawer, which to be honest I found to be much poorer quality than the rest of the kit. A couple of ours were unusable. 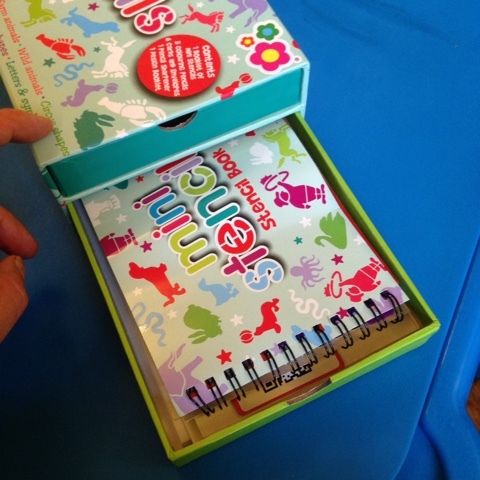 The Kit contains a book of papers, a book of stencils, coloured pencils, a pencil sharpener ad 6 blank cards and envelopes. 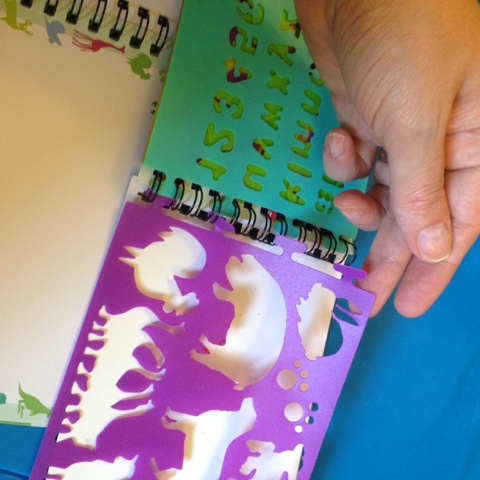 I really liked that the stencils could be kept in the book when not in use, although at 3 and the bottom end of the age range, T did struggle to get them out and I was worried that he would rip them. An older child would not have this issue I don't think. 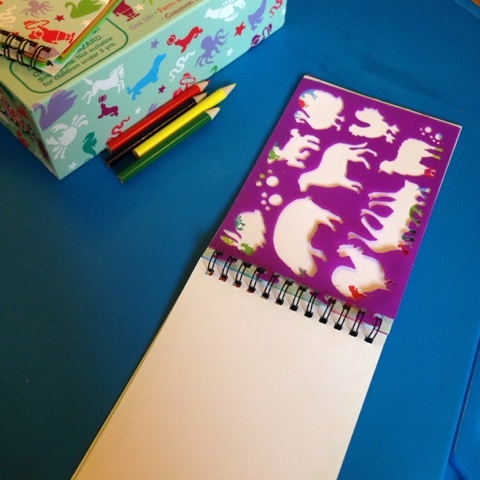 I actually re-attached the stencil to the paper book which made it much easier for T to use. He loves this kit and has even put it in his rainy day bag! 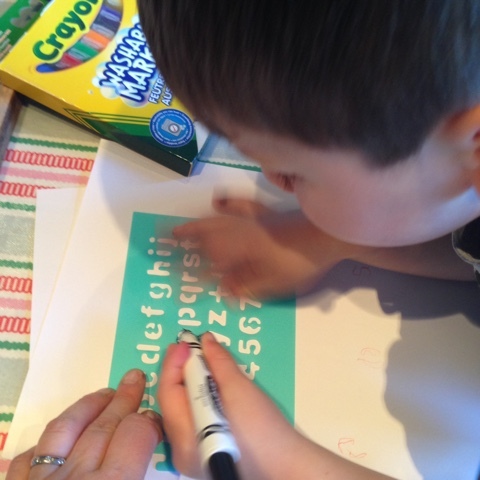 T wanted to use felt tips on some of the stencils, and this wiped away easily and you wouldn't have known that it had been covered! T did struggle to recognise some of the letters and numbers on the alphabet stencil but again I think this was more due to his age than a criticism of the product. Overall I think this is a lovely kit, although I do feel the price tag of £12.99 a little steep. Disclaimer: We were sent this product free in exchange for an honest review. Good idea to attach the stencil to the book! 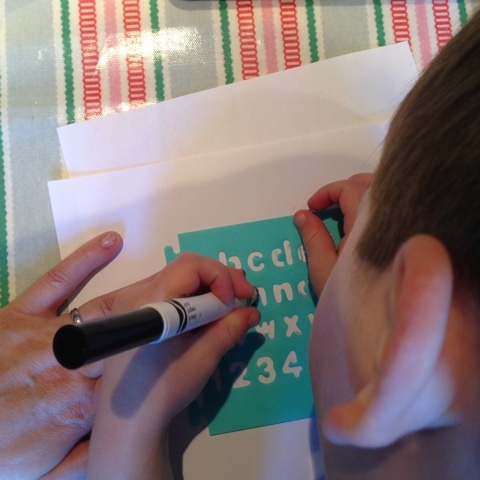 Children usually enjoy stencils in my experience but I think they are often more geared to slightly older ones. I can see why recognising letters and numbers could be problematic for a toddler. Our guys are currently mad for stencils, and drawing around stuff! Like it's all they do!! !